November’s charcutepalooza challenge was to cure a home-made sausage. This has been the most rewarding charcutepalooza challenge by far. 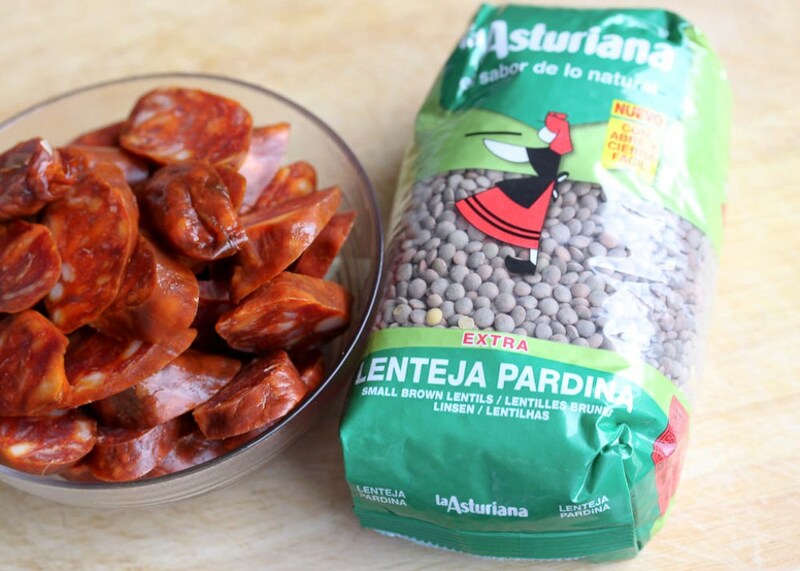 I love Spanish chorizo, and never before did I dream that I’d be able to make it at home. The hardest part was waiting for the chorizo to cure in my curing chamber (read small wine fridge). By some miracle, the temperature was just right, the ventilation was just right, and the humidity was just right. The chorizo came out great. I’ll be honest here: the best way to eat this chorizo is sliced thin atop a slice of Manchego. After all that work, cooking this chorizo seems like sacrilege. However, I had about 3 pounds after curing it, so I had plenty to use in different preparations. 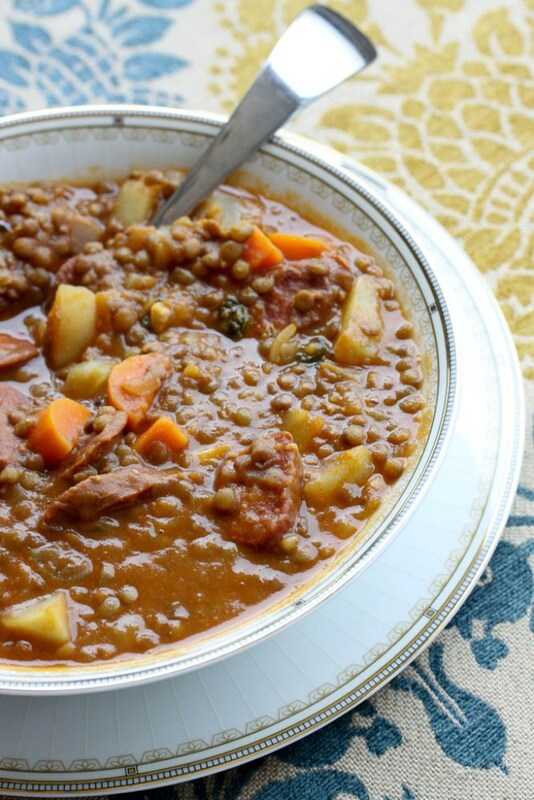 I love lentils, and this dish is hearty, filling, and delicious. 1. Place lentils, 2 onion halves, 2 whole garlic cloves, 3 pieces carrot, parsley, and bay leaf in a large pot and cover with water by two inches. Bring to a boil, reduce to simmer, cover, and cook for 30 minutes. Check the lentils after 15 minutes, stir, and add more water if necessary. 2. In a large skillet over medium heat, place the Spanish chorizo and cook until brown. The fat from the chorizo will render out. Remove the chorizo from the pan, and also remove most of the fat leaving about 2 tablespoons in the skillet. Add the chopped onion, chopped garlic, chopped carrot and sauté for 5 minutes. 3. Add in the tomato sauce, vinegar, and chorizo. Turn heat off and set aside. 4. 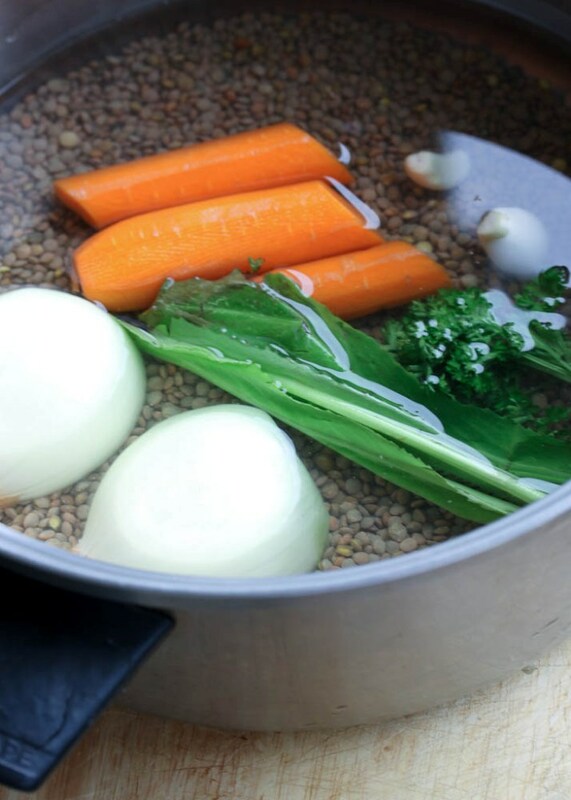 Remove the onion, garlic, carrot, parsley, and bay leaf from the lentils. Add the mixture from the skillet, and the potatoes. Add water if necessary. Taste for seasoning, add just a bit of salt and pepper if necessary. Cook until the potatoes are tender, about 15-20 minutes. 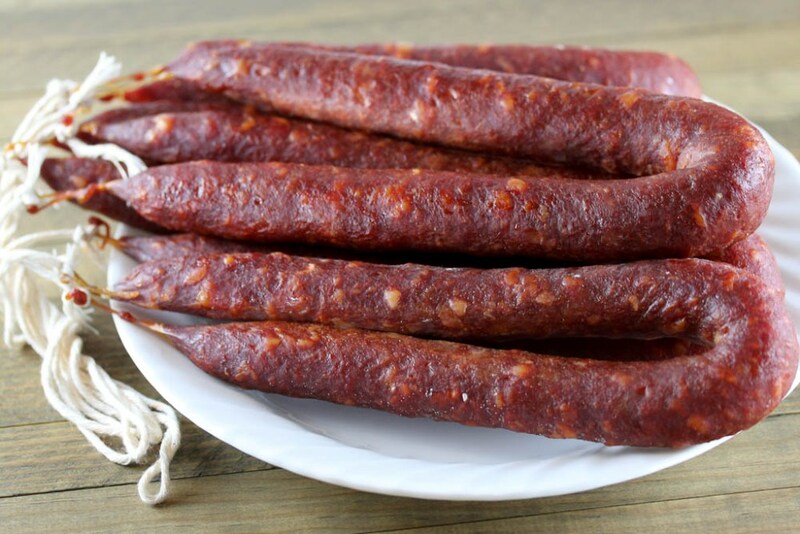 You can find the recipe for Spanish chorizo in our charcutepalooza bible, Charcuterie. It’s absolutely beautiful! So so beautiful – I wouldn’t have had any left to cook with – I would have just eaten it all! I loved this challenge too. A LOT. Maybe because I got two links of the chorizo!? 🙂 It was so good! I used some in a soup recipe I’ll be posting soon and some I just ate. Thanks!!! Wow! Those chorizo look amazing! Yum! Will have to make this. Luv lentils.